The CETA accord needs to be approved by all 28 EU member states to fully come into force. Italian Minister of Labor and Industry Luigi Di Maio speaks at the Italian Business Association Confcommercio meeting in Rome, June 7, 2018. 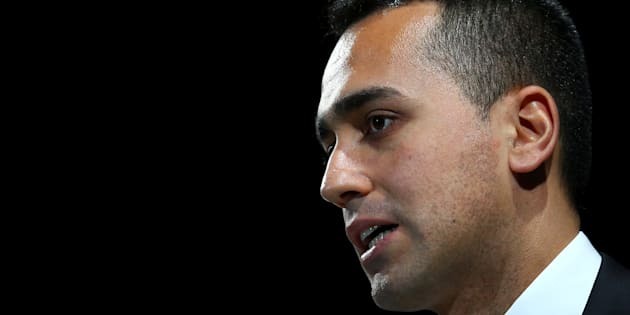 ROME, July 13 (Reuters) - Italy will not ratify the European Union's free trade agreement with Canada, Deputy Prime Minister Luigi Di Maio said on Friday, potentially scuppering the EU's biggest accord in years. A Canadian government source played down the remarks, saying they reflected Italian domestic politics and the challenges of managing a coalition of right- and left-wing parties. "We are engaged but do not plan on escalating in any way an issue that has more to do with (Italian politics) than a fundamental issue with the two percent of CETA left to be ratified," said the source, who asked to remain anonymous given the sensitivity of the situation. The CETA accord, the first major trade deal the European Union has signed since an agreement with South Korea was ratified in 2015, needs to be approved by all 28 EU member states to fully come into force. Canada says 98 percent of the treaty is already in effect. The 5-Star/League government, which took office on June 1, vows to take a hard line to defend Italian specialty foods. These include Parmigiano Reggiano cheese and Prosciutto di Parma ham. Under CETA, Canada has recognized more than 40 Italian PDO and PGI labels out of a total of 292. CETA entered into force on a provisional basis in September 2017, removing tariffs from a large number of goods and widening access to Canadian beef in Europe and EU cheese and wine in Canada. Its supporters say it would increase trade between the partners by 20 percent and boost the EU economy by 12 billion euros ($13.96 billion) a year and Canada's by C$12 billion ($9.10 billion).